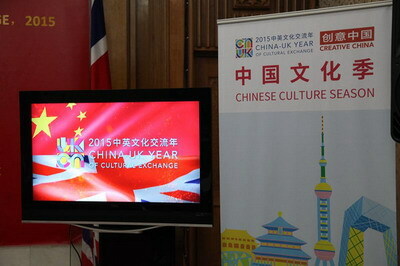 On 4 August, the Chinese Embassy in the UK held the press conference to launch the China Season of 2015 China-UK Year of Cultural Exchange. Chinese Ambassador Liu Xiaoming made the opening remarks, followed by an official briefing on the arrangements of the activities of the China Season. Leading officials from the Department for Culture, Media & Sport, the British Council, the British Museum, the British Library and the Victoria and Albert Museum were present. 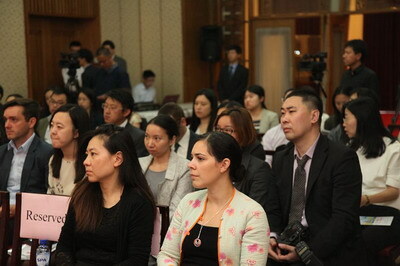 Over 20 Chinese and British media attended and covered the event. 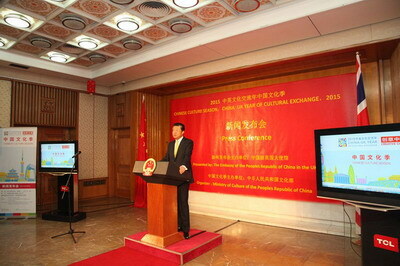 In his opening remarks, Ambassador Liu summarized the significance of the China Season with three 'highlights'. The China Season highlights the proud history and culture of China and the UK, highlights the cultural exchange between China and the UK and highlights the strength of cultural exchange in promoting sustained and in-depth development of China-UK relations. Ambassador Liu pointed out that 2015 is a big year for China-UK relations, or in the words of Prime Minister Cameron, a "golden year". With President Xi Jinping due to pay a state visit to the UK in October and the Third Meeting of the China-UK High-level People-to-People Exchange in London drawing close next month, the launch of the China Season cannot be more timely. The Ambassador expressed his confidence that the events of the China Season will bring China-UK cultural exchange and cooperation to a new and higher level. They will in turn give new impetus to the development of China-UK relationship. In his remarks, Keith Nichol, Coordinator of Cultural Diplomacy of British Department for Culture, Media & Sport said, the theme "Creative China" of the China Season demonstrates the fast growth of China's creative industry. And the needs in the UK for China's creative industry are rising. He hoped that China-UK Year of Cultural Exchange will further promote pragmatic exchanges and cooperation between the creative industries from both countries. Rachel Ireland, regional head of Asia from the British Council, said that the UK Season of UK-China Year of Cultural Exchange held in China in the first half of this year has found a passionate audience among the Chinese people. She believed that the events of the China Season will also be warmly welcomed by the British people. Brigadier David Allfrey MBE, Chief Executive and Producer of Royal Edinburgh Military Tattoo, and Catherine Mallyon, Executive Director of Royal Shakespeare Company briefed the audience on their organisations' cooperation with their Chinese counterparts. During the event, Embassy officials and their UK counterparts answered questions from the Chinese and British media on the programme of the China Season.